I have finally got some new batteries for my remote flying wing to get it airborn once again after 10 years in the closet. Thanks to Paul that was visiting Pattaya and brought a bunch of remote toys with him, got me hooked back up to the information needed to find some of the missing parts that had put my toys in cold storage for a time. With Paul's info and the added motivation after seeing Paul's toys fly (and also thanks to Adam our Thai freind), I ended up getting a new electric 3 phase 2200kv motor, 30A ESC electric speed controler and a needed Imax B6AC battery charge system for the new lipo batteries that include qty 2, 2.2 Ah 3 cell and a 3.0 Ah 2 cell lipo to experment with. The total added expense of the flight hardware upgrade is now totaled at about 3500 Baht. I’ve since also created a pod that caries my Acer E120 android phone that I already had that acts as an airborn video recorder, camera and video/camara RF remote transmitter that sends imaged data over wifi down to the ground while in flight. With some of the captured image flight data so far I’ve created some videos of some of the test flights that can be seen from the google links bellow: firstflightf.mp4 https://docs.google.com/open?id=0BwHgFeQZDBYLeXRvRHlBWWRPN1E flight2d.flv https://docs.google.com/open?id=0BwHgFeQZDBYLckNWVEN3SEdhZGs photo's captured in flight2 in high res 2000 X 1500 pixals seen https://plus.google.com/photos/107865398971246342039/albums/5768347857323817729 flight3_rotated90deg.mp4 https://docs.google.com/open?id=0BwHgFeQZDBYLa2JNVWl0cTQxV0E flight5web.mp4 https://docs.google.com/open?id=0BwHgFeQZDBYLU200Y3poSWVpNFE My collection of still albums that are mostly RC releated https://picasaweb.google.com/107865398971246342039 Each of the flights above are just tests flights to see what can be done and what type of images can be captured while in flight. Firstflightf.mp4 is a combination of some video that my friend Claus happen to give me when he saw me during the first flight test. Added to what Claus gave me I added what was seen from the plane as it flew that day with the Acer E120 android camera phone while in video capture mode. I also added a sound track of some Moby song to add some spice to the video and to learn how to use the new video editor I was working on. Flight2d.flv is a test flight that is with the Acer E120 android in time lapse photo mode to capture an image every 2 secound during the flight. After the flight I converted the series of photo's into a video stream with ffmpeg and edited the video with the Pitivi video editor on a Ubuntu 10.04 system. I also added a sound track of a song from ?? flight3_rotated90deg.mp4 is a short test flight of a the E120 in video mode with a mirror that redirected the image to the camera tword the front of the aircraft. I also found that the image that was captured from the mirror caused the image to rotate 90 deg so I rotated the video with ffmpeg counter clockwise 90 deg to try to fix it. The sound track is just what was captured on the plane in flight and on the ground before and after flight. Update Aug 3, 2012 flight5web.mp4 is the longest flight on record that was a total 18minits 55 secounds in the air. I used Tina Time lapse set to capture 1 frame every 3 secounds on the E120 android. ffmpeg was set to playback at 2 frames per secound so it plays back the sequence at about 6 times recorded speed. I was able to walk from my house at Soi 13 and land at the Hard Rock Hotel on Soi 6 that's about 700 meters and was able to fly at least 100 meters away in each direction so we covered about 900 meters or more in total max point distance in flight. This was also an experimental mirror flight that was pointing 45 deg from front view but as you will see the mirror fell off in flight so was in some ways a failure but is still interesting to see. As far as mirrors I still feel pointing forward is the best to date. only thing not tried yet is pointing to the rear but may have problems with the propeller. This video is mostly uncut from flight setup to tear down and has an added audio track of Jerney's trouble child. From the experiments above I found that video that points down is only useful if flying at higher altitudes. any low flight of video pointing down is just blured and has little of interest in site. On the other hand when the mirror is added to point forward then video at low altitude looks much better. The picture mode that captures images of 2000 by 1500 pixals takes very good clear shots even at low altitude images are not blured and look steady. But I thought at the 2 secound capture rate it would become more like a video in high speed but the plane moves so far in 2 secounds that you mostly see very little in common with the last shot in most cases. So I think to better use the photo mode that I should just stitch a very big image together to make one big high resolution image of the ground at the time of flight (not done yet). Also to be done is to try the mirror redirection in pointing the camera to the side of the aircraft and also point to the rear of the aircraft in both photo and video modes. When that's complete we need to try to do a cross country flight as far up the beach as possible on a single charge to create the big high res beach photo. Also with the mirrors added in side mode a low flight up the beach to get a big side shot of the beach to be stitched together. I find that even my short flights I collected about 600 Mbytes of picture data I guess that would make a very big detailed picture. Maybe I can sell the data to google for there google earth database? Oh the phone also has a GPS in it that in some of the pic modes auto adds the lat long data to the jpg image info. The GPS can also find out what the max speed the plane can fly and other cool stuf. Add to that there are also acelerometers in the phone that can find out what the max stress figures in flight to better design the next aircraft when we know what loads are to be expected in flight. Wether any or all of this can be done before the plane crashes and destroys the camera and the plane is hard to say. I already note that my flying wing has some signs of weakness in the center section of the wing that shows compresion of the foam that can't be corrected with any more spars. What is needed is a thicker 12% thick wing that will fix two problems including making stall recovery quicker and enable the plane to carry about 50% - 100% more load without causing problems in the airframe. 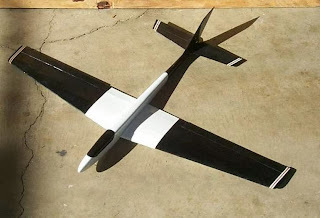 I also have another bigger flying wing that is about 6 feet long that I would like to try with the cams and added lights for night flights to capture pics in the dark. 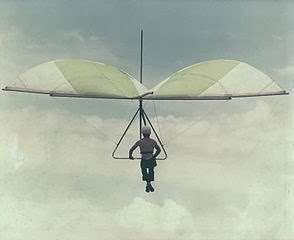 I think the bigger wing might require a different motor and slower prop and some method of launch like a bungee or something to get it airborn. In all this is a fun toy that adds things to do even when you can't just fly. It also opens a method to show others the fun your having doing it. It combines my interest in flight, remote control, Remote presence, computers, photography, videography and writing. I hope my sharing brings in more people to play, as it's always more fun with more friends to play with.